Tasted at Bordeaux Index's annual 10-Year On tasting in London.The 2006 Château Margaux has a sense of airiness and wonderful definition on the nose: wild strawberry, redcurrant, cedar and crushed roses soaring from the glass, but it never strives for the opulence of say the 2006 Château Palmer. The palate is very well balanced with fine and quite firm tannin in the mouth. This seems to be approaching its plateau after a decade. 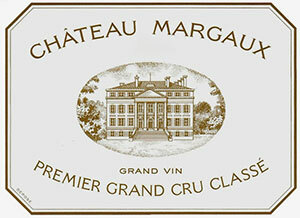 While not a powerful or ostentatious Château Margaux, it epitomizes understatement and refinement in a similar vein to Lafite-Rothschild. It is only after the wine has been swallowed that you appreciate its qualities and you feel urged to go back for another sip. Tasted January 2016.